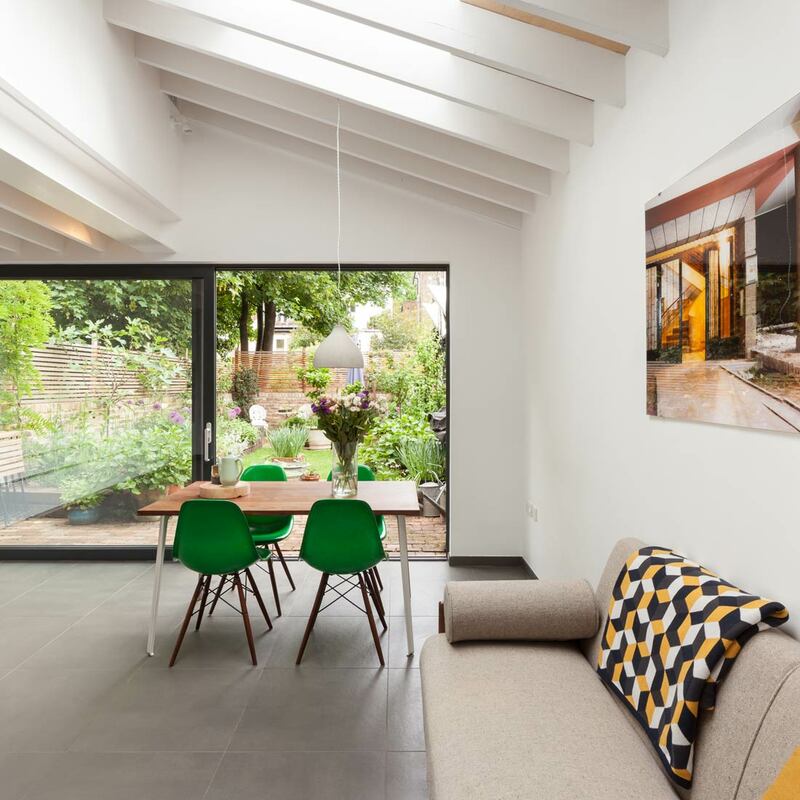 Direct commission for a new extension and full refurbishment of a ground-floor flat in a Victorian terraced house in Finsbury Park. 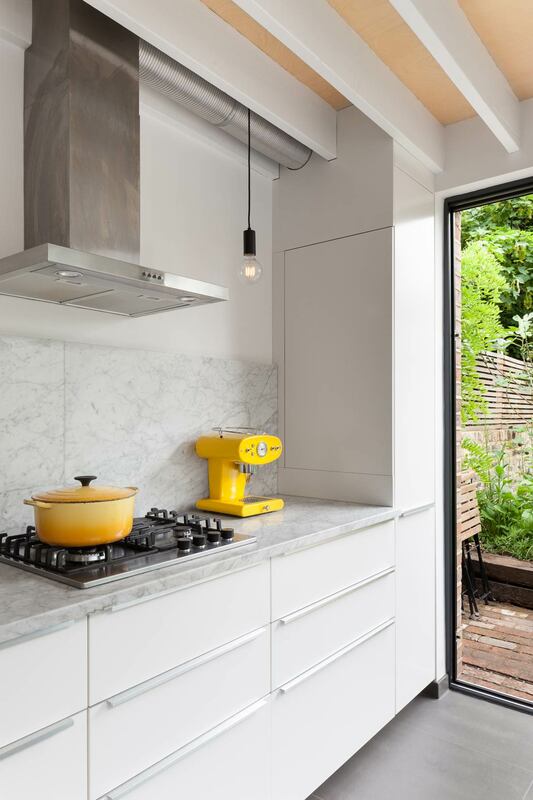 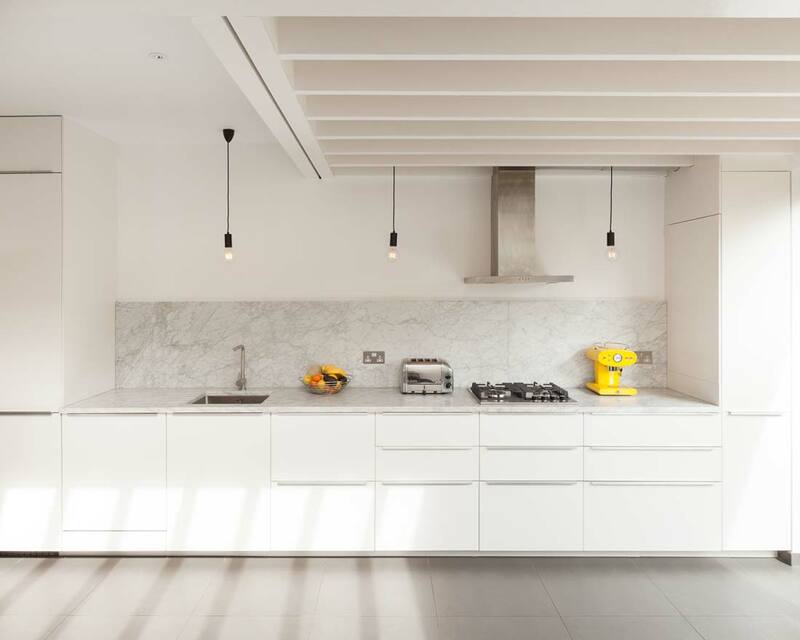 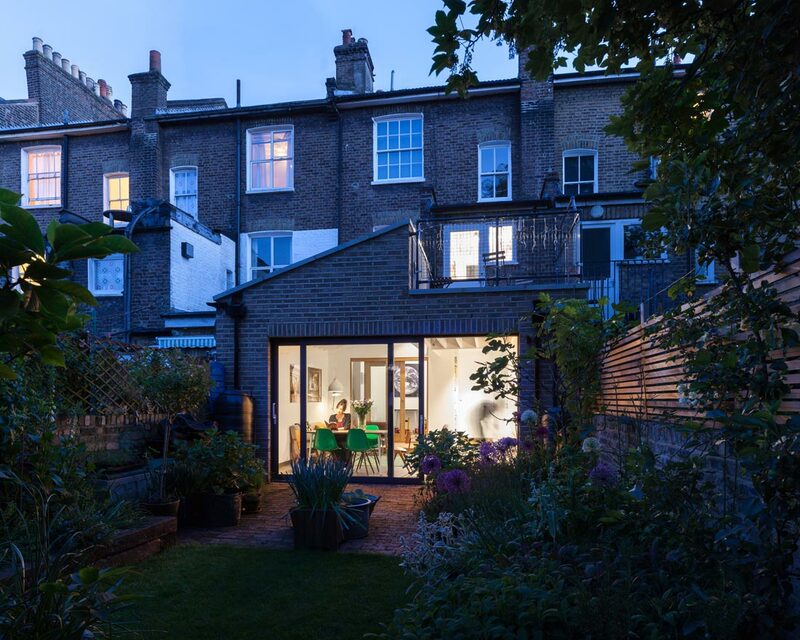 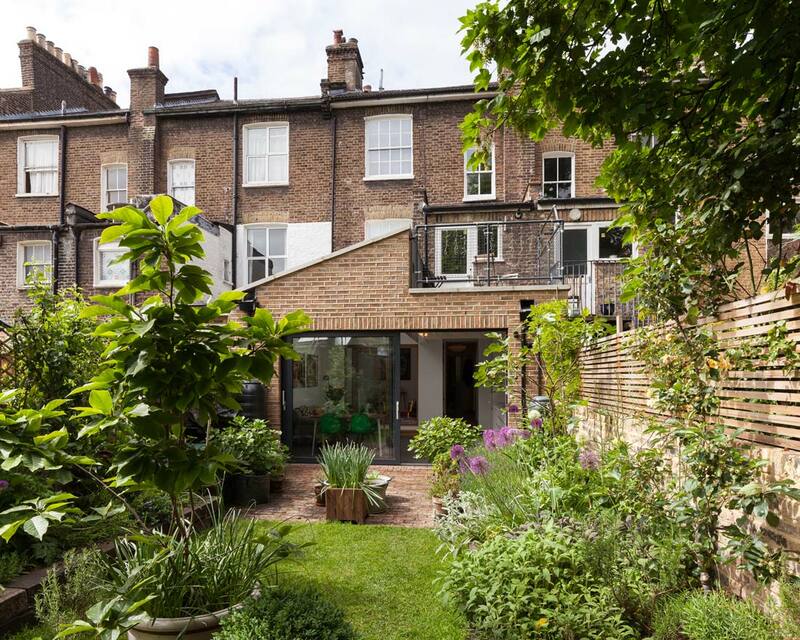 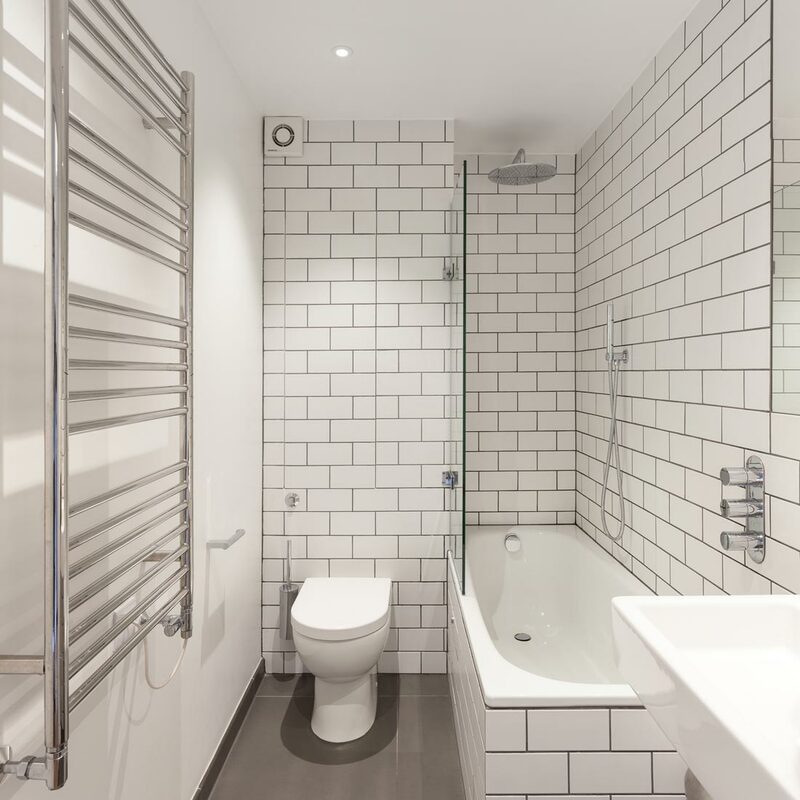 The new building replaces an existing side-return extension and adds an additional 20m² to form an open-plan kitchen and living space, and enables a second bedroom to be created, making the flat suitable for a young family. 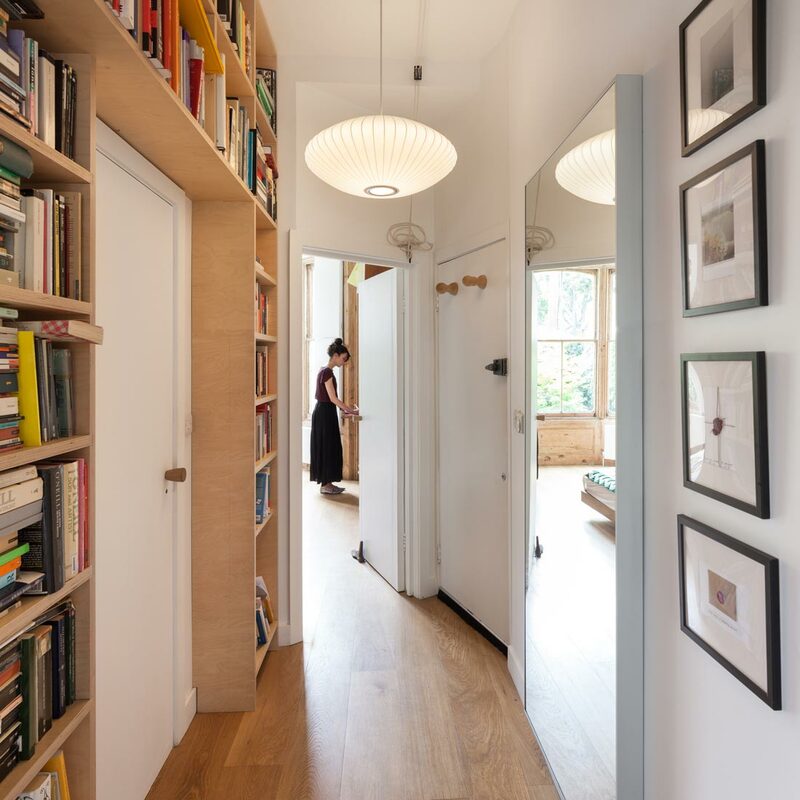 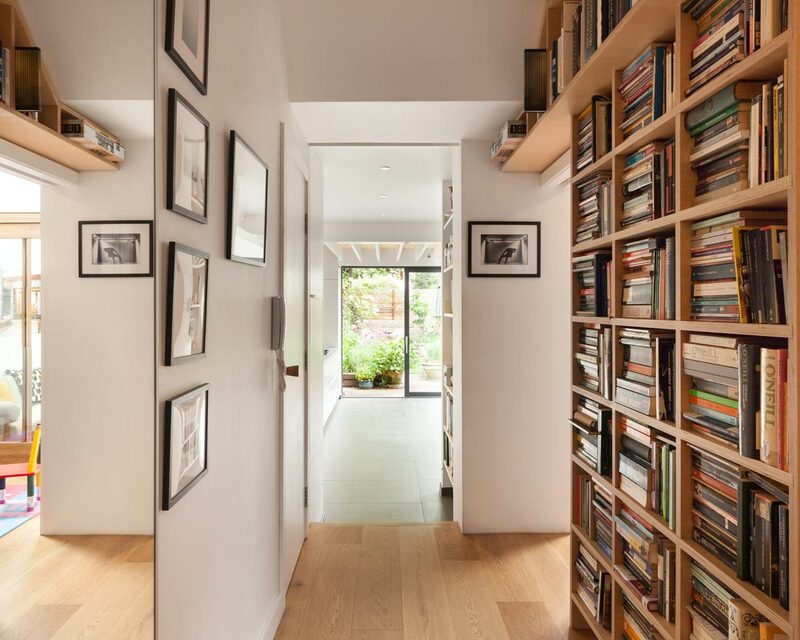 The hallway is reconfigured for extra generosity and lined with storage, with pocketed sliding doors to allow spaces to be configured as necessary. 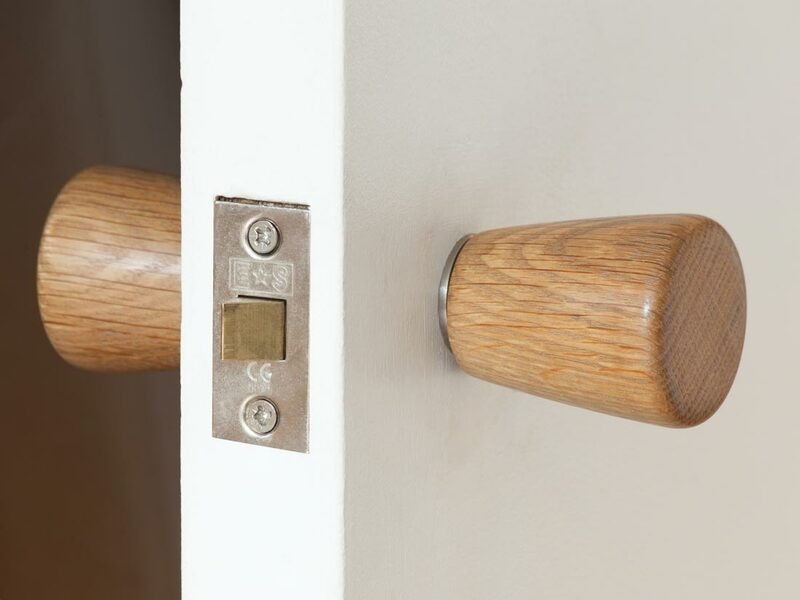 Bespoke turned oak door knobs were designed especially for this project. 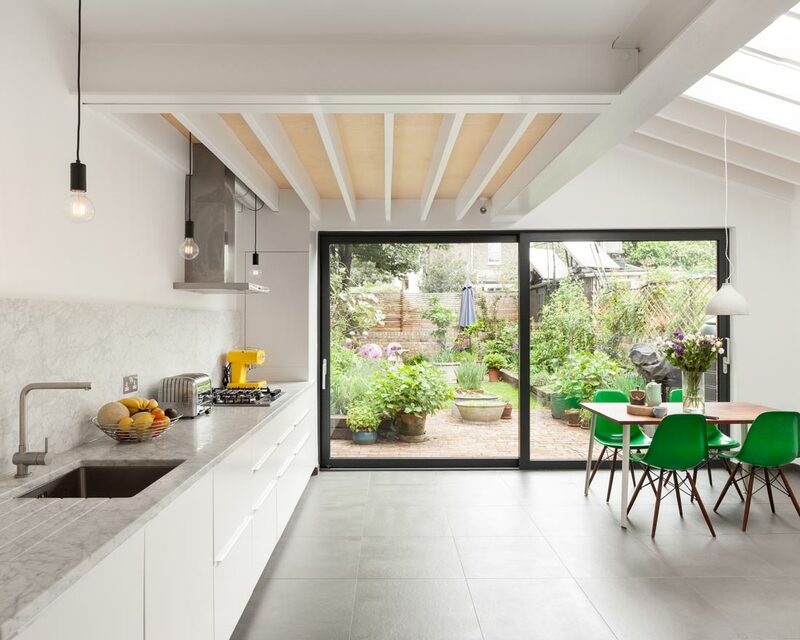 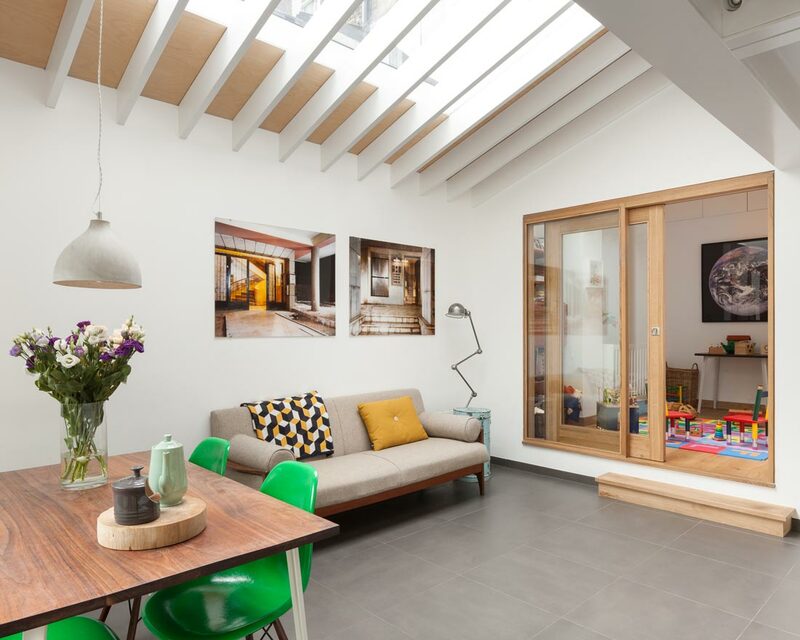 The roof profile of the new extension creates a roof terrace for the flat above, and rooflights in the pitched roof flood the ground floor space with natural light. 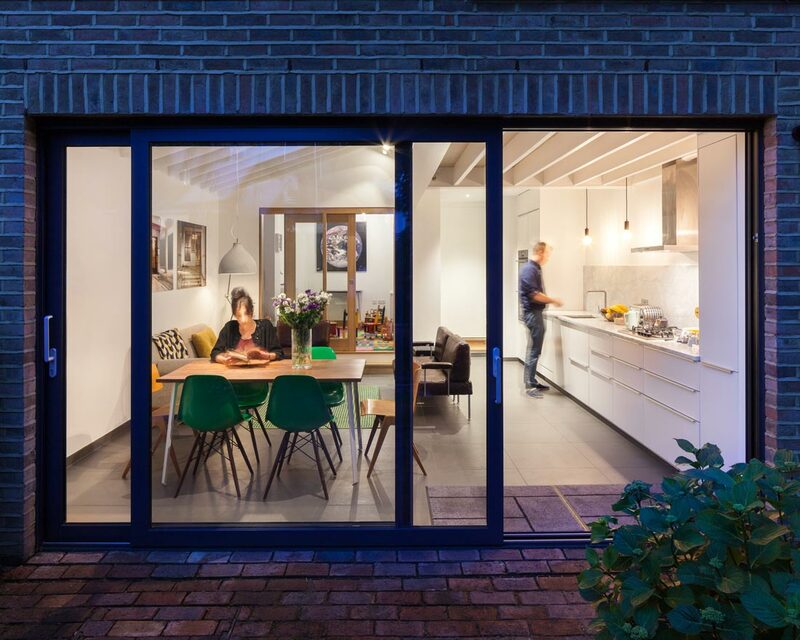 Reclaimed bricks are used on the exterior, with large new sliding doors; exposed natural ply between roof joists provides warmth to the interior. 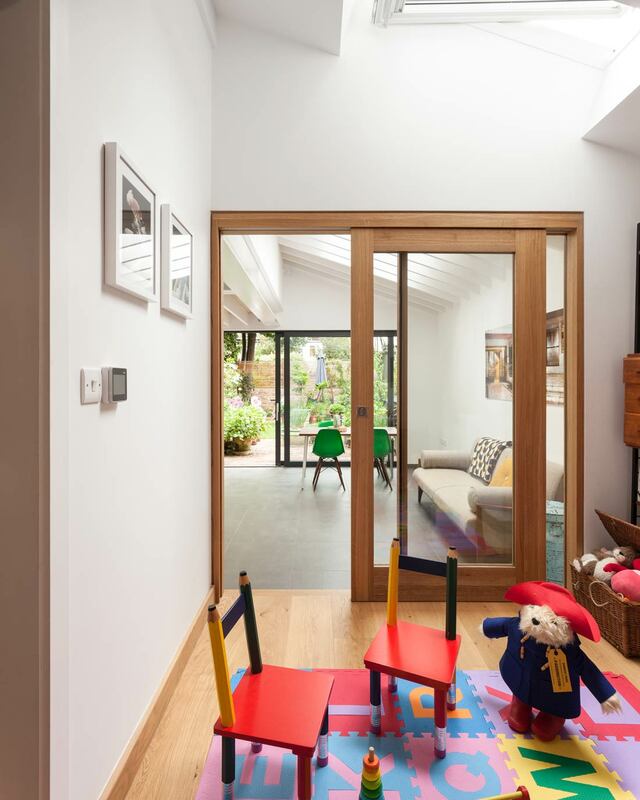 Tile flooring with underfloor heating in the extension is paired with oiled oak timber flooring in the original part of the house. 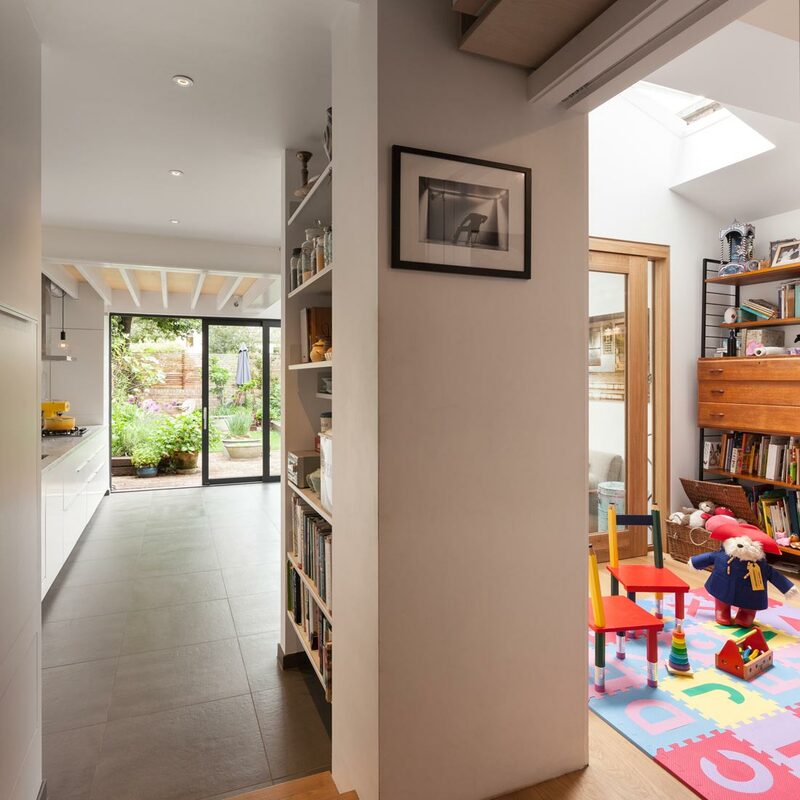 The project involved extensive replacement of existing footings and floor structure to ensure a robust, well-insulated environment.